The Whatcom Food Network was originally founded in 2011 and has evolved and changed over the years into the organization we are today! 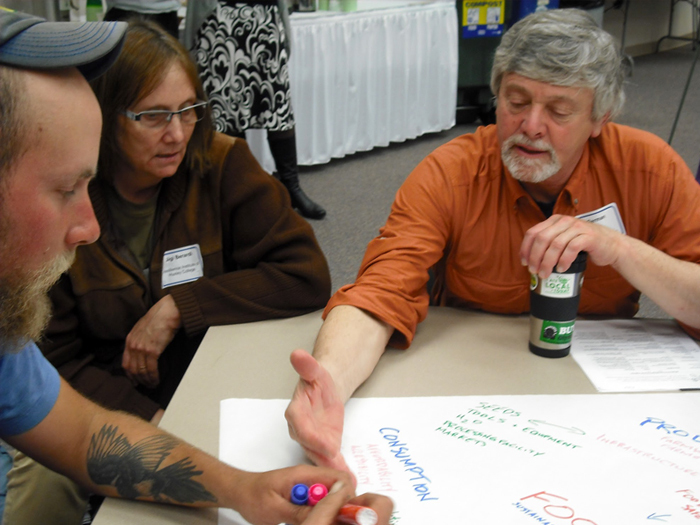 In April 2010, a number of people from Whatcom County participated in a statewide “Food System Strategies Summit” held in Seattle by the Access to Healthy Foods Coalition. 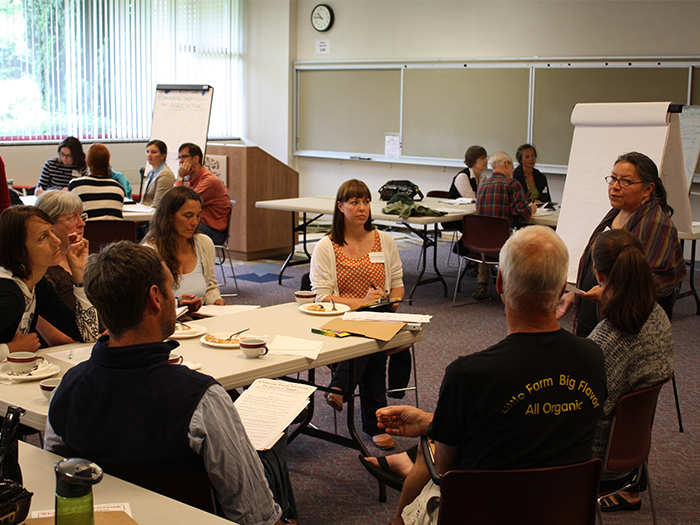 Inspired by the initiatives emerging across the nation, they began meeting with a small group of local stakeholders who shared the goal of increasing coordination among organizations working on various dimensions of the Whatcom County Food System. 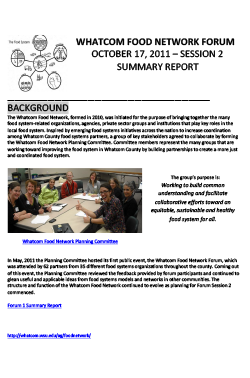 This group, which expanded and became the Whatcom Food Network Planning Committee, defined their common purpose: Working to build common understanding and facilitate collaborative efforts toward a healthy and equitable food system for all. 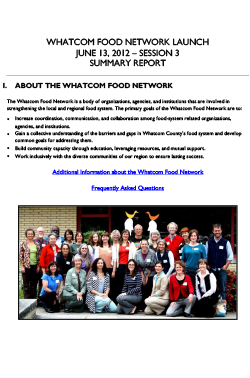 In May, 2011 the Planning Committee hosted its first public event, the Whatcom Food Network Forum, which was attended by 62 partners from 35 different food systems organizations throughout the county. Coming out of this event, the Planning Committee reviewed the feedback provided by forum participants and continued to glean useful and applicable ideas from food systems models and networks in other communities. 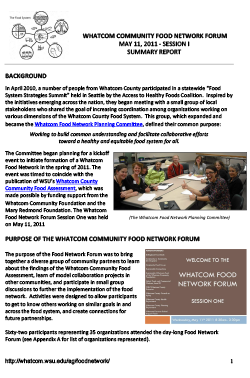 The structure and function of the Whatcom Food Network continued to evolve as planning for Forum Session 2 commenced. In the weeks leading up to Forum Session 2, Planning Committee members critically examined and refined the stated Network purpose, internal functions, values, and action areas of partner organizations. A Goal Group subcommittee formed to synthesize the pieces into a cohesive document that represented member organizations and forum feedback in addition to elements of other food systems networks. The resulting documents and model represents the months of Planning Committee activity between Forum Sessions 1 and 2. The proposed community action areas, goals, and strategies were presented at the Whatcom Food Network Forum Session 2 on October 17, 2011. After that, as they say, the rest was history! View our founding documents and forum reports below.